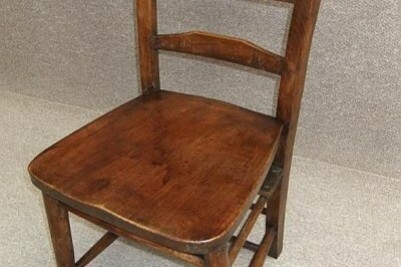 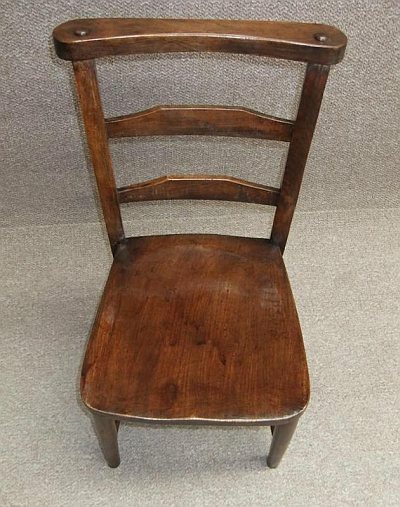 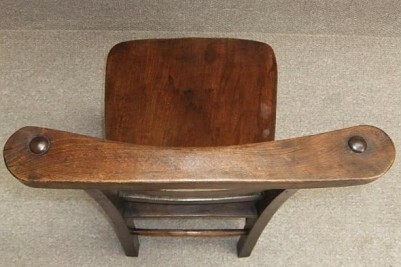 A beautiful late Victorian elm seated chapel chair. 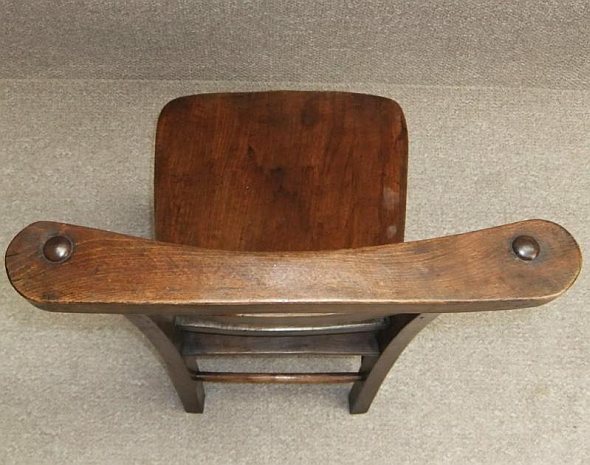 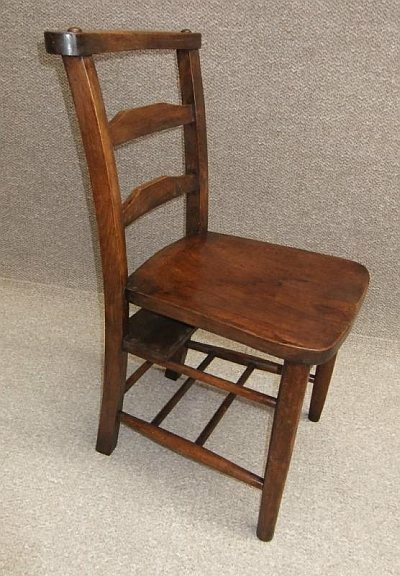 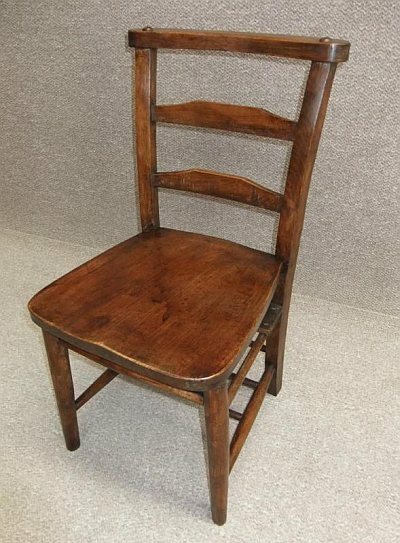 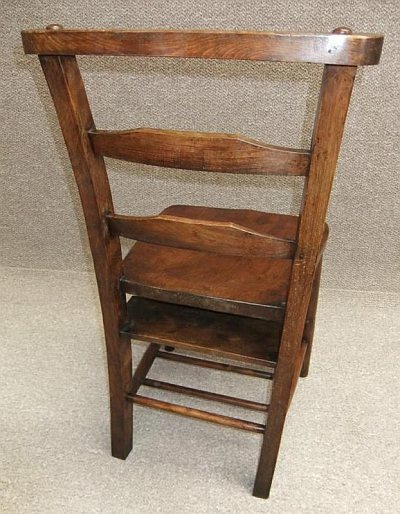 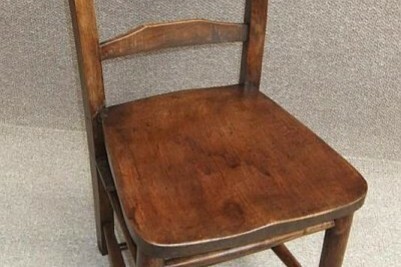 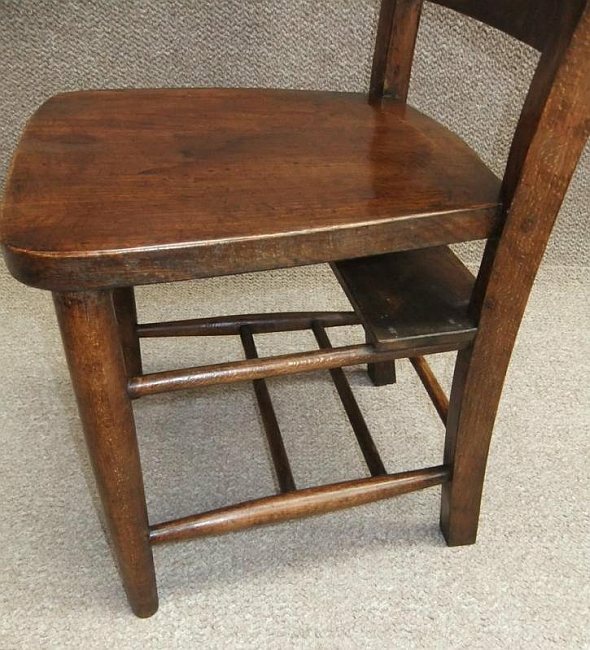 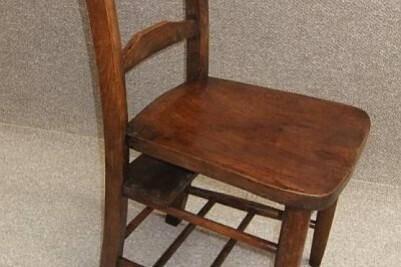 Featuring a traditional ladder back design, this chair also known as church chair has a lower shelf which originally would have been used for a kneeling mat or bible holder. 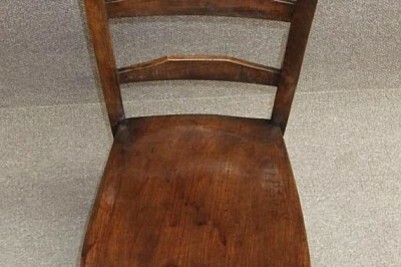 This chair is one of 24 that we are selling. 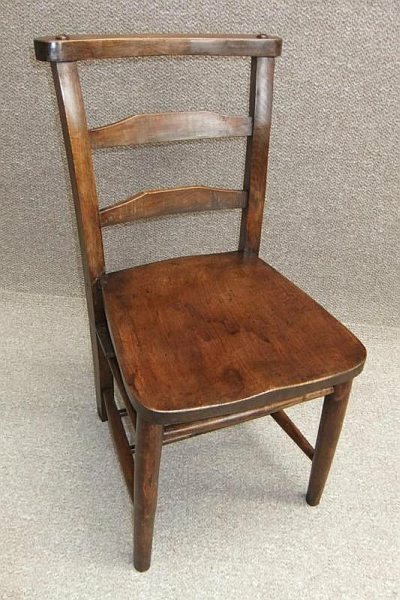 They are all a beautiful rich colour, and are ideal for any country kitchen interior, restaurant or bar. 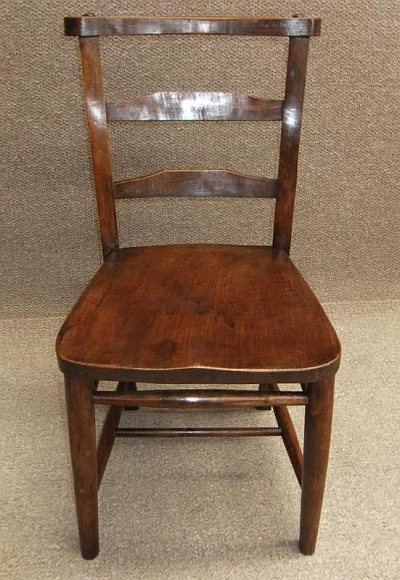 All chairs are in good condition for their age; please view our other listings to see our full range of vintage chapel chairs. 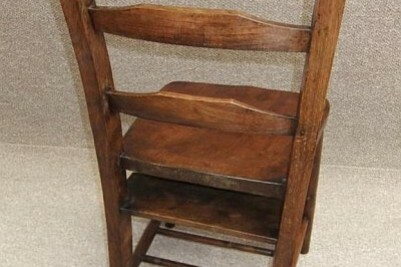 Please quote 'Grantham chapel' when enquiring after this chair. 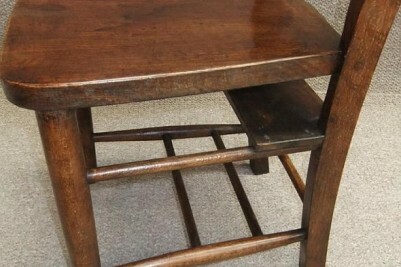 DELIVERY - £15.00 to England & Wales. 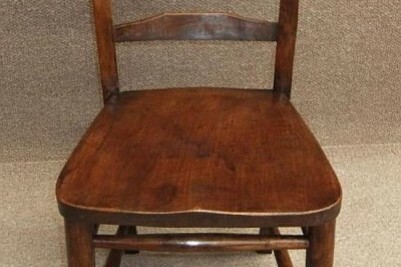 For deliveries outside this area please phone for a quote.